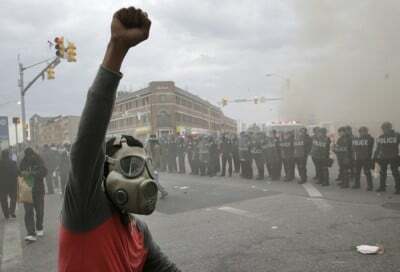 Were you shocked at the disruption in Baltimore? What is more shocking is daily life in Baltimore, a city of 622,000 which is 63 percent African American. Here are ten facts that tell some of the story. 1: Blacks in Baltimore are more than 5.6 times more likely to be arrested for possession of marijuana than whites even though marijuana use among the races is similar. In fact, Baltimore county has the fifth highest arrest rate for marijuana possessions in the USA. 2: Over $5.7 million has been paid out by Baltimore since 2011 in over 100 police brutality lawsuits. Victims of severe police brutality were mostly people of color and included a pregnant woman, a 65 year old church deacon, children, and an 87 year old grandmother. 3: White babies born in Baltimore have six more years of life expectancy than African American babies in the city. 4: African Americans in Baltimore are eight times more likely to die from complications of HIV/AIDS than whites and twice as likely to die from diabetes related causes as whites. 5: Unemployment is 8.4 percent city wide. Most estimates place the unemployment in the African American community at double that of the white community. The national rate of unemployment for whites is 4.7 percent, for blacks it is 10.1. 6: African American babies in Baltimore are nine times more likely to die before age one than white infants in the city. 7: There is a twenty year difference in life expectancy between those who live in the most affluent neighborhood in Baltimore versus those who live six miles away in the most impoverished. 8: 148,000 people, or 23.8 percent of the people in Baltimore, live below the official poverty level. 9: 56.4 percent of Baltimore students graduate from high school. The national rate is about 80 percent. 10: 92 percent of marijuana possession arrests in Baltimore were of African Americans, one of the highest racial disparities in the USA.